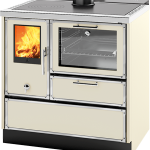 This special series consists of the wood burning cooker and three modules which can be combined with various functions. The special series models are available in two colours and can be customised with two profiles. The island can be composed of 2 or 4 modules. Between modules can be placed opposite a recessed channel (90 or 180 based on the number of modules) that can be customized with a variety of selectable elements, to have a space of orderly and effective work. The Wood burning cooker – The centre-piece of the set. 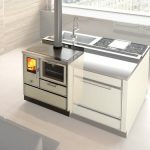 The Gas Burning cooker – Fantastic complement to the wood burning cooker. The Sink – Larger Tank and a Practical, large lower bin which can be removed in stainless steel for differentiated waste. The Worktop – A large worktop with large draw to store wood or other tools. 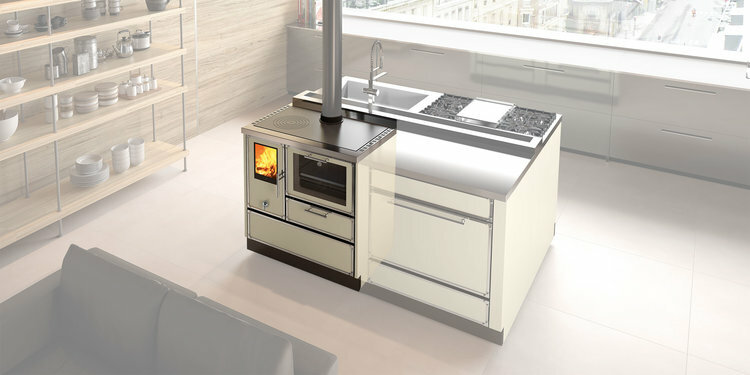 Wood Stove of the special series with whole structure in black enamelled steel or ivory.